Not long ago, the Bearded Wonder and I were hired by the BBC (woah there someone’s got their big people britches now) to film a documentary about clinical trials. Did I mention that we have a very cool media company called Third Valve Creative? The Bearded Wonder plays the part of the handsome videographer with a flowing red beard, flannel shirt, and expensive videocamera (don’t call him a hipster) and I am the lowly photographer (when there isn’t a small infant attached to me). I digress. Back to my story. “It just so happens, ” we said in our most casual and confident tone, “that we know the perfect subject for this documentary.” Long story short we were hired to film a documentary about us and more specifically about Jack and our experiences with clinical trials. One gallon of stress sweat (the really foul smelling kind), one broken camera lens (thanks to our toddler) and one long (you can’t even imagine how long) day and we completed the job. Note to self: hire a sitter for all future collaborations. 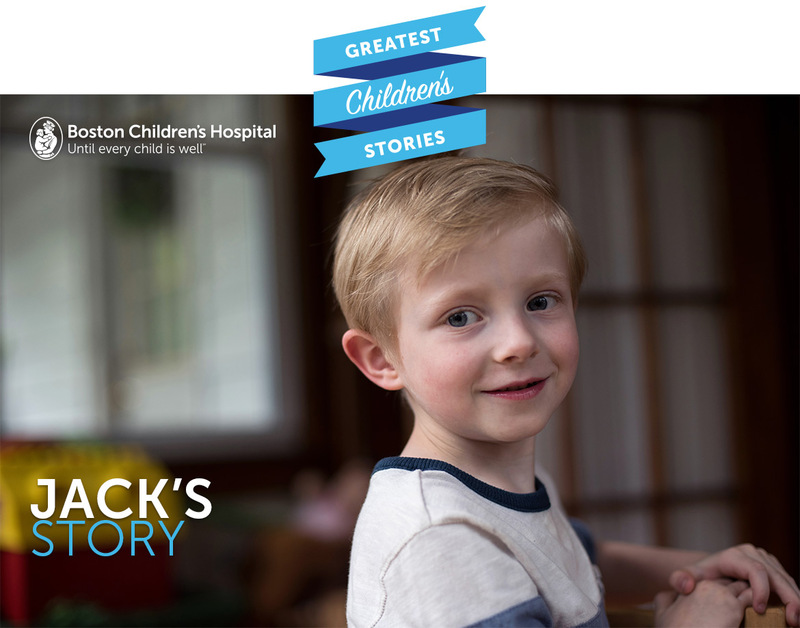 From that experience Boston Children’s Hospital wanted to come out, meet Jack, take some darn cute pictures of him to feature his story on their website. According to our two oldest boys, he’s basically famous. In fact, they were thinking about all of the perks of being a sibling to a celebrity. The fame, the fortune. They had stars in their eyes. For those of you who aren’t familiar with my family’s story. You can read here What is PVS about what we have been through in our trails (literal and figurative trials). But even cooler than that you can go here on Boston Children’s website Jack’s Greatest Children’s Story and see just how cool our little Jack is. Cool as a cucumber actually. He just chatted it up with the photographer and writers like it was the most natural thing in the world to have them in our home. “Knock knock,” he said to the photographer with a coy sideways look at his mother. “Who’s there?” asked the photographer. That’s just a little sampling of the stimulating conversation he provided for our guests. My face was redish. But seriously, having people engage with my little guy and adore every wacky thing he said was such a reminder of how precious every moment we have with him is. We are really and truly privileged to be part of the story that God is writing for him. And what a story it has been. In other news, Jack’s heart is doing fairly well. There are signs of active disease in his veins but, as I tell people, the closing of his veins is gradual and gives us time to get our head around what to do about it. Whereas before, his disease was aggressive; viciously closing his blood flow and giving us few options and little hope. When I remember what it was like when he was losing the battle I realize all over again that God is generous. Extravagant, actually. God is extravagant. One time, years before Jack was born, our family was experiencing some serious trials and were at the wrong side of hope. I came home from a late night of lugging my toddlers to youth group. What should be waiting for us on my door step but a big fat chocolate cake with no note, only the words “God is extravagant” in icing cursive. God really is extravagant with his unexpected over-the-top gifts to us. Chocolate taught me that. Take a moment, if it please you, to follow the link to Jack’s story. here it is again, in case you missed it the first time AND subscribe to my humble blog because my self-esteem is riding on it. But then also, remember: Do Hard Things. It’s worth it. How awesome! One can only hope that more of the world will be enlightened, and more help can be available for Jack and other children with PVS! So excited for all of you Amy! P.S. I will remember that awesome chocolate cake story forever!